Creative Ideas for Language Learning is a hands-on/theory workshop that will provide participants with eight different potential pathways to learning and will help them define the best possible practices for teaching and thinking in language instruction. 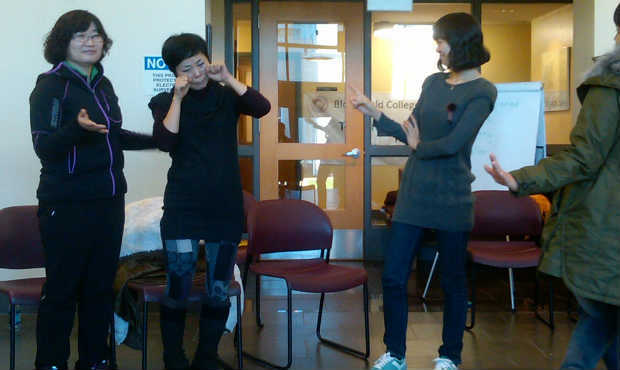 Participants will learn how to integrate storytelling, music, theater, and dance into teaching. This combination of creative thematic activities and performing arts transforms students into active, self-motivated learners. Program Length: Up to 6 hrs.